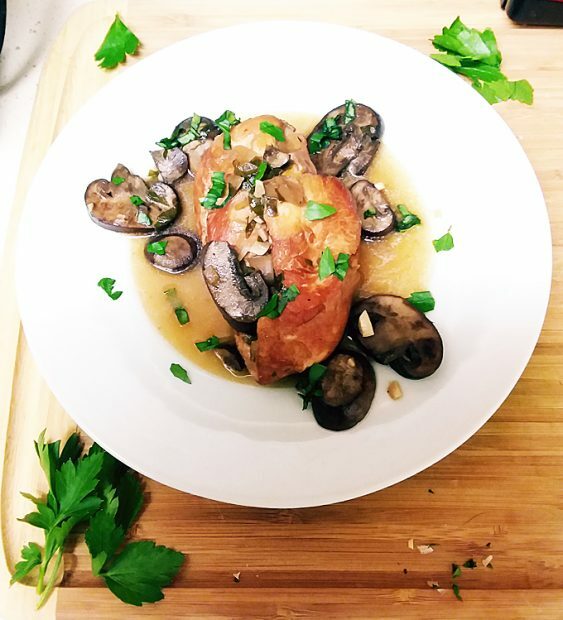 Slow Cooker Chicken Marsala - Oh Snap! Let's Eat! 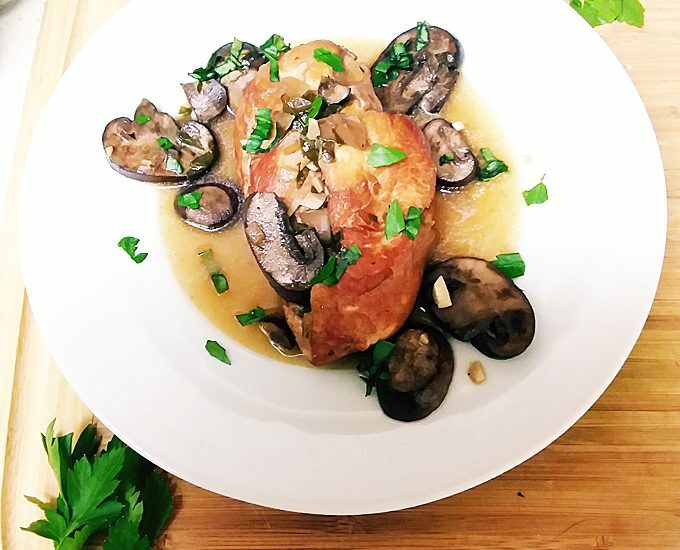 And as always, the slow cooker worked its magic — the chicken was moist and fall-apart perfect, the mushrooms were tender and juicy, and the sauce brought the dish together in mouth-watering harmony. Try this over zoodles or cauliflower rice if you’re looking for something to help sop up all of that delicious sauce! 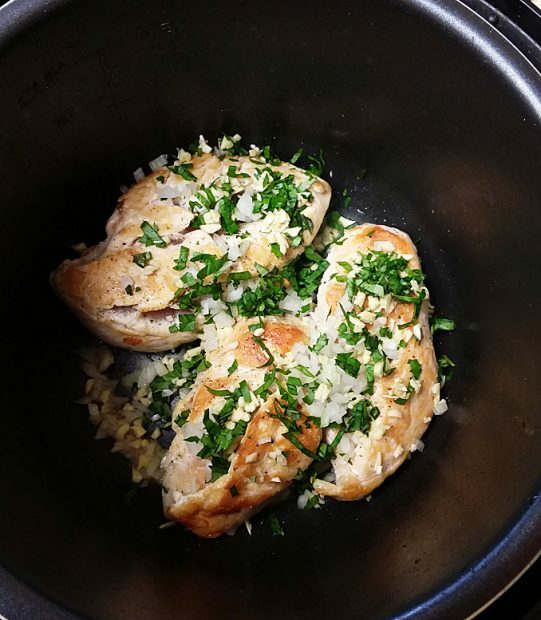 Brown your chicken breasts — if your slow cooker doesn’t have a “browning” setting, you can do this in a pan on the stove top over medium-high heat. Add 1 tbsp. coconut oil to slow cooker or pan, wait for it to melt and your pan to warm and then brown your chicken breasts — about 5-8 minutes each side. 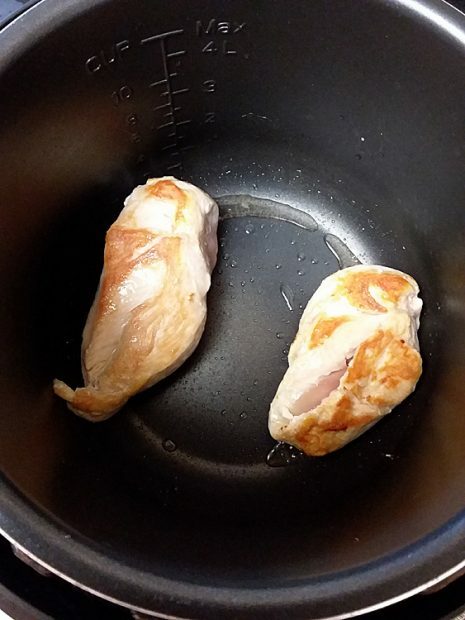 Once chicken is browned, remove chicken and allow slow cooker to cool (or, if you used a separate pan, you can go ahead immediately). Once cooled, add chicken, minced garlic, minced onion, and 1/2 tbsp. chopped basil and parsley to pot. In a small bowl, mix the Marsala wine, chicken broth, salt and pepper. 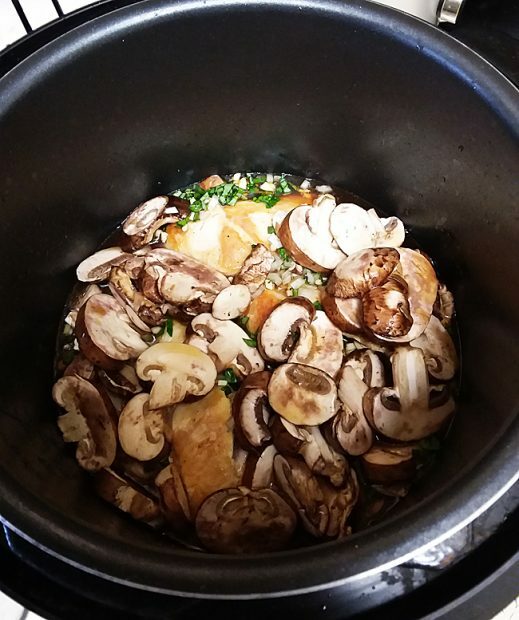 Pour the mixture into the slow cooker and then add your mushrooms. Set slow cooker to “low” for 4.5 hours. During the last half hour of cooking, add the arrowroot starch/water slurry to the pot and stir. Add the remainder of the basil and parsley during the last 15 minutes. Serve, garnishing with more fresh herbs. 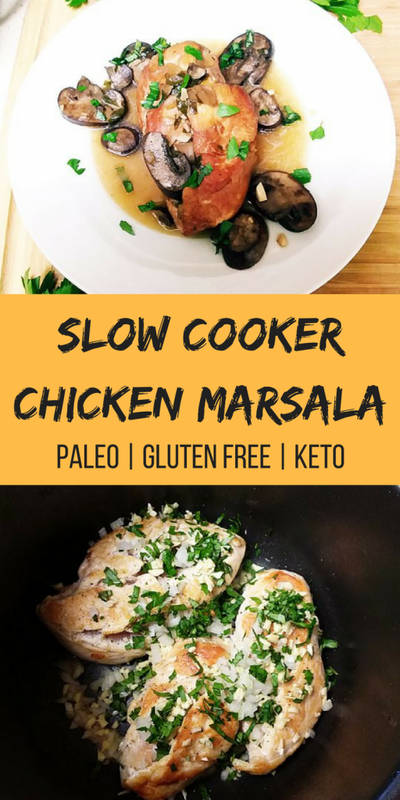 Loving the ease of cooking with a slow cooker? 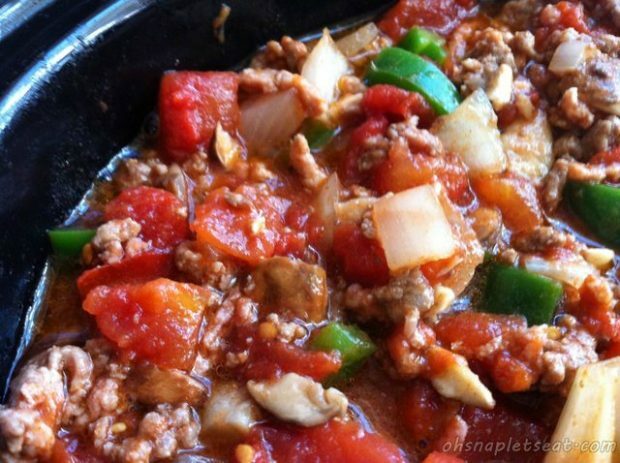 Check out more slow cooker recipes, like our Spicy Paleo Slow Cooker Chili!